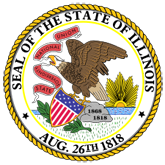 Press release: Illinois Environmental Protection Agency (EPA) Acting Director Alec Messina and Illinois Department of Public Health (IDPH) Director Nirav D. Shah, M.D., J.D. 1. Illinois Agencies Announce Coordinated Mosquito Reduction Strategy (16-0521-IEPA_IDPH_Mosquito_Reduction_Strategy.pdf).